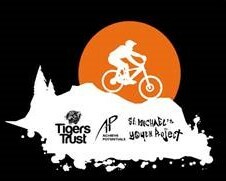 Eighteen members of staff from the Tigers Trust team are taking on a Coast to Coast charity Cycle Challenge to help raise funds that will be used to relaunch a Visual Impairment sports session for the local community. The Cycle Challenge starts on 2nd to 5th May 2019 and the 200-mile route will be from Southport all the way back to the KCOM Stadium, in time for kick off at the Hull City v Bristol City game on Sunday 5th May, where the cyclists will deliver the match ball. In addition to the Challenge itself our coaches will be facilitating Visual Impairment specialised sessions, in partnership with other football clubs on the route. This will include; Manchester United and we will visit Southport; Manchester City; Everton; Liverpool and Doncaster Rovers. There are currently no other specialist visual impairment (VI) sports sessions in Hull and East Riding and the Trust believes that sport should be inclusive to all. Therefore, the team are extremely passionate about raising the funds to provide a weekly VI session.  Marc Pugh is confirmed as our 2nd Guest Get your questions ready..